Antique inspired set includes knife and server. Consists of zinc, stainless, and nickel plating for a royal grandeur. Measurements are: Knife-- W 1' x L 14 1/4' x H 1/8' Server-- W 3 1/7' x L 11 1/4'' x H 1/2'. Cakes. The most tasteful part of any celebration. But you can’t just go ahead and eat the cake. The bride and groom must prepare for the celebratory cut. That first cut that goes deep into every layer of deliciousness. The first cut initiating the first day as a married couple. With the grandness that this ceremony endows, not just any knife will do. 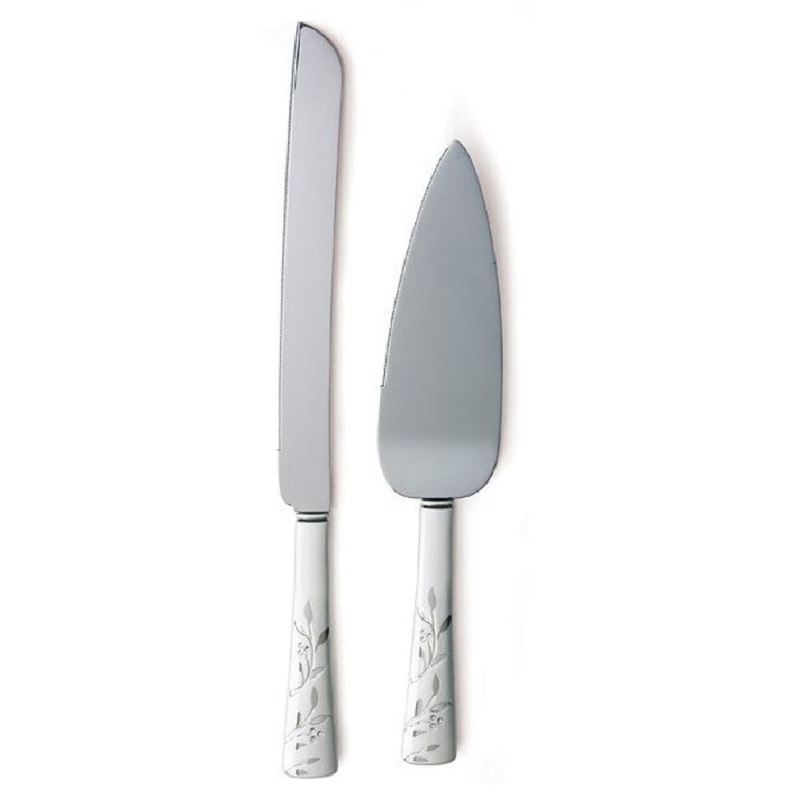 Our silver serving set includes a knife and a server that is beautifully engraved with vintage inspired designs. Definitely on par with the rest of the gorgeous decorations accessorized throughout the space. Serve your guests with style and enjoy the taste of sweet moments.